Nice pool area. Nice breakfast area with large selection. There was plenty of parking available. Initially upgraded, however the room had a crack in the roof (below). The rooms were nice and clean. It was very nice to have a pool on a hot summer day. Friendly staff. Quiet location. Was very nice sitting outside in the evening on the balcony with a view of the leaning tower of Pisa in the back ground. The property is very quiet and away from all the busyness of the area. location was average but worth the compromise as it had a great view. 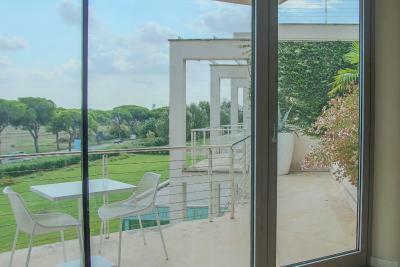 Allegroitalia Pisa Tower Plaza This rating is a reflection of how the property compares to the industry standard when it comes to price, facilities and services available. It's based on a self-evaluation by the property. Use this rating to help choose your stay! 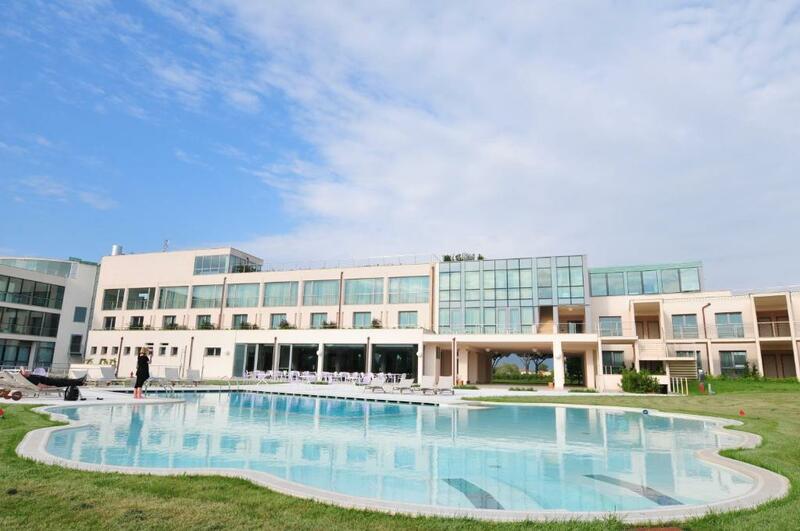 One of our top picks in Pisa.Just 15 minutes' walk from Piazza dei Miracoli in Pisa, overlooking the Leaning Tower in the distance, the Allegroitalia Pisa Tower Plaza offers a pool with hydromassage jets and furnished deck surrounded by a garden. 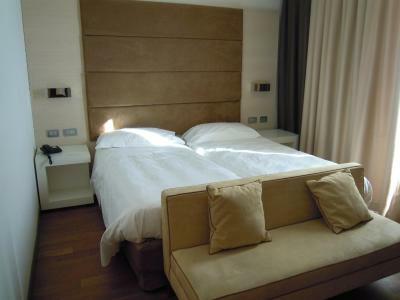 Air-conditioned rooms at the Allegroitalia Pisa Tower Plaza are decorated with modern furnishings and parquet floors. Each includes free WiFi. 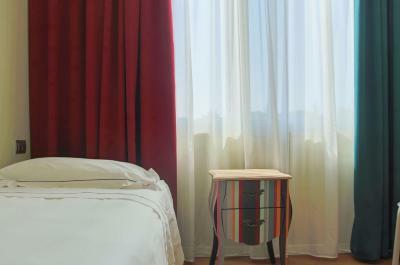 Most rooms overlook the Leaning Tower. 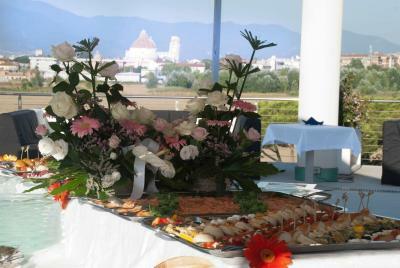 Staff at the hotel serve a generous buffet breakfast daily. 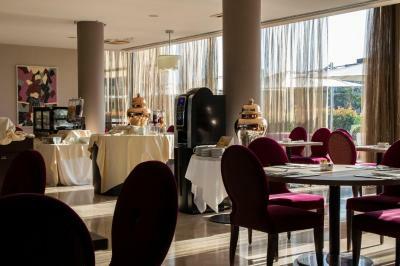 The restaurant specializes in Tuscan cuisine and has an extensive list of wines, both from Pisa and around the world. 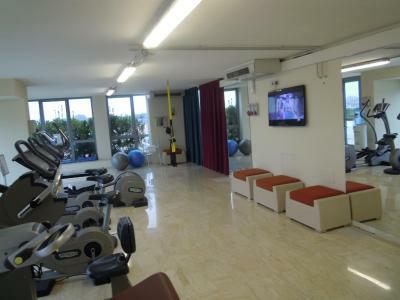 The fitness corner includes cardio equipped. 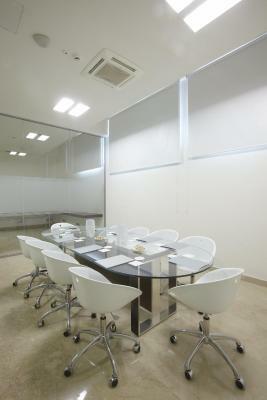 A garden and meeting rooms are also available on site. Guests can visit the nearby San Rossore Nature Reserve. Pisa Galileo Airport is a 10-minute drive away. 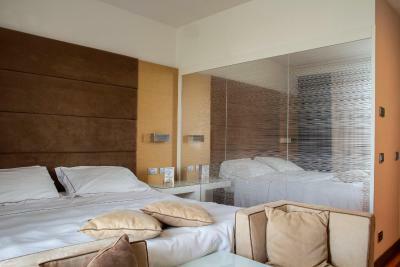 When would you like to stay at Allegroitalia Pisa Tower Plaza? 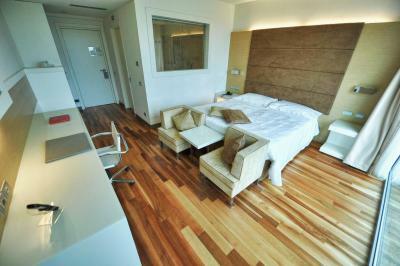 Elegant room with modern furnishings and parquet floors. Offers free WiFi, air conditioning, and a flat-screen TV. 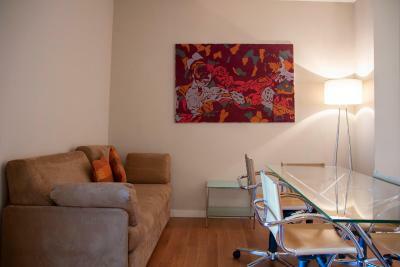 Larger, elegant room with modern furnishings and parquet floors. Offers free WiFi, air conditioning, and a flat-screen TV. Some have views of the Leaning Tower of Pisa. 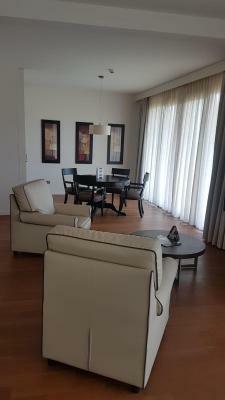 Elegant suite with modern furnishings and parquet floors. 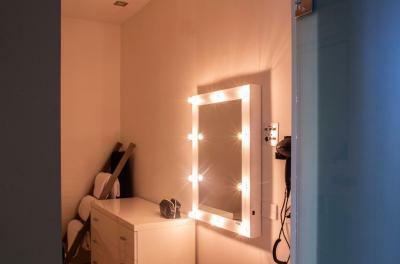 Offers free WiFi, air conditioning, and a flat-screen TV. 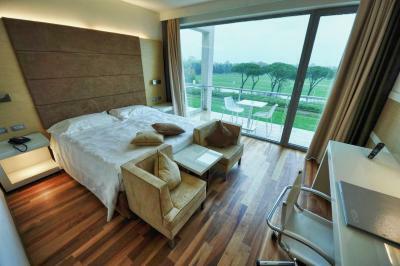 With large windows overlooking the swimming pool or the Leaning Tower of Pisa. 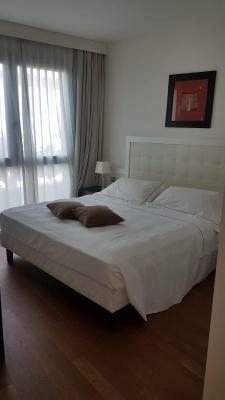 Elegant suite with independent entrance, lounge and sofa bed. Offers free WiFi, air conditioning, and a flat-screen TV . Some have a kitchenette. 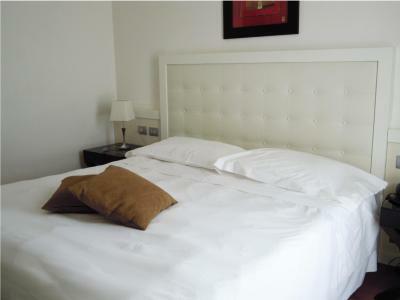 Elegant suite with independent entrance, kitchenette and sofa bed. Offers free WiFi, air conditioning, and a flat-screen TV. 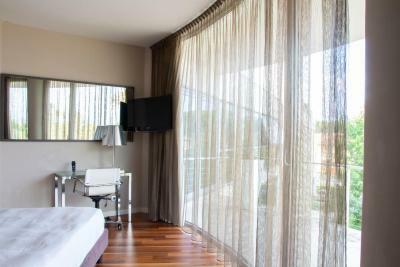 This suite has 2 bedrooms, a lounge area and a kitchenette. 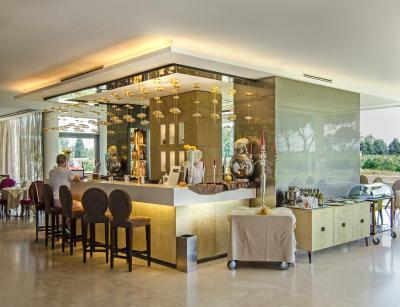 Located just outside the center of Pisa, which is 5 minutes far by car, Abitalia Tower Plaza is a new and luxurious 5 star Hotel that brings a blown of modernity in town. 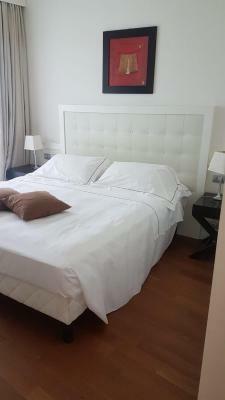 93 rooms and 28 apartments, for a total of 121 accomodations, make this Hotel one of the biggest in Pisa; it doesn't matter if you are on a familiy holiday, on work trip or just passing by, here you will find what you are looking for. 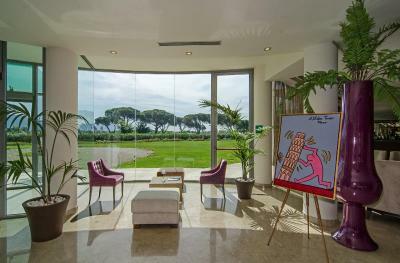 The spacious "I Sovrani" Restaurant, 6 meeting rooms, outside swimming pool (open only in summer), free wifi in every room, free outside parking, the spa corner and the fitness room are waiting for you, so be sure not to miss this train! 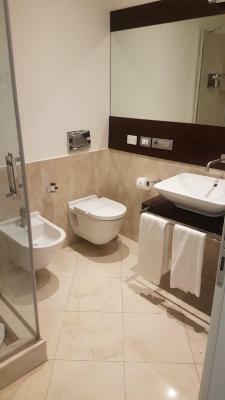 House Rules Allegroitalia Pisa Tower Plaza takes special requests – add in the next step! Allegroitalia Pisa Tower Plaza accepts these cards and reserves the right to temporarily hold an amount prior to arrival. Please note that the swimming pool is open from June 16 until September 15. The furniture was very old.. No cattle. No iron. Very disappointed last night of our holiday looking forward to a luxury 5 star spa. 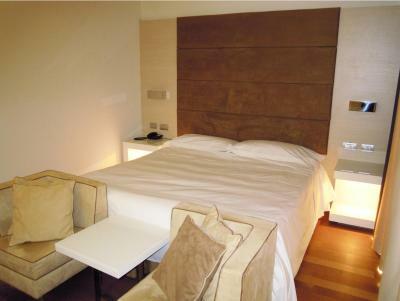 The breakfast was appalling, dust under the bed, water ran orange, safe did not work, and we were in a so called suite! We came here as we were getting married in Tuscany and we wanted a few days away before the wedding. 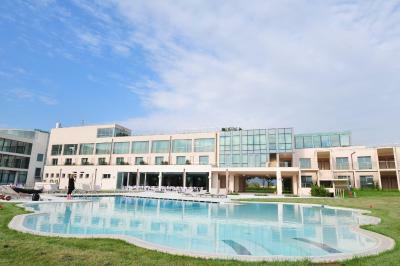 The hotel was perfect for our families to come and spend a few days sight seeing in Pisa before the wedding. No food in the time when we need it, no swimming pool. No service of food or coffee all the time, poor coffee in the room.